Andaman & Nicobar are the two names that fulfil your every imagination. Loaded with natural beauty, these islands are the perfect places to give a new start to your life. Set amidst the blue endless water, these islands are serving as an escape from the world. Every year a large number of tourists including honeymooners visit these islands. After a hustle and bustle of the celebrations, vacation in Andaman & Nicobar is like a treat. Soothing and peaceful environment of the islands offer you an opportunity to snuggle in the arms of your partner and start a new chapter of the life. Sandy, sunny and silky beaches of these islands are amazing. Apart from the breathtaking views, the beaches are popular for turtle nesting. Leather Back Turtle, Olive Ridley Turtle, Hawksbill Turtle and Green Sea Turtle are the common turtle species that you can find here. Corbyn's Cove Tourism Complex is the most popular beach here. For sun basking and sea bathing, this is the ideal beach. Radhnagar and Vijaynagar beaches are popular for unpolluted air. Scenic location and fresh environment is the perfect location to spend a quality time. Harminder Bay Beach, Karmatang Beach and Ramnagar Beach are also worth visiting. The islands are also popular for monuments. Cellular Jail is the most famous monument of the region. Located at port Blair, this is the mute witness of the torture of freedom fighters. The monument is declared as National Memorial. Tourists can enjoy the light & sound show here. Ross Island houses the ruins of the old building of British regime. If you wish to empathize the untold sufferings of the freedom fighters, Viper Island is a must see place. 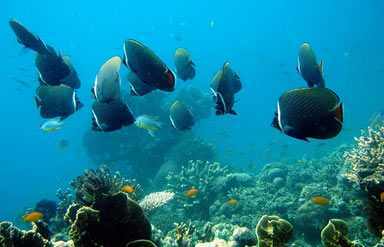 Mahatma Gandhi Marine National Park is made up of open sea, 15 islands and creeks. Tourists with adventure interest visit this Marine park to view corals and underwater marine life. In addition to that, SCUBA diving and snorkelling are also popular here. Gandhi Park is for those who wish to taste adventure in a safer zone. Amusement rides, remains of Japanese Temple and nature trail are the highlights of the region. Chidiya Tapu is studded with dense forest and various types of chirping birds. By Air: From Delhi, Chennai and Kolkata, frequent and comfortable flights are available. Tourists from other countries can reach any of the destination and can take a further flight to reach Port Blair. 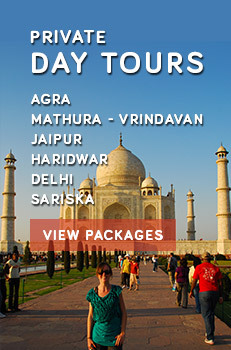 By Sea:Ship service is available from Kolkata, Chennai or Visakhapatnam. It takes around 4 days to arrive at Port Blair.